Get the financial tools for better tools through M C Bank. Since you're only as good as your equipment, our competitive rate equipment loans ensure you're always at your best. Our local staff understands local needs. 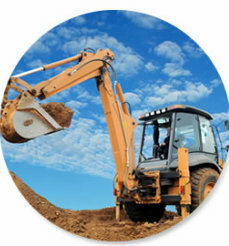 We'll work with you to finance the right equipment for the right terms. And since you need equipment today, not a year from now, our localized processing can get you what you need as soon as possible. Drive your commercial success with a commercial vehicle loan from M C Bank. Whatever transportation vehicle your company needs, new or old, we will work to provide you with flexible, affordable financing. Stay on top of equipment needs with ease.